Happy Friday! This is a great day for MBN. We are now linked to on another Michigan Blog! The good folks over at Victors Valiant have found their way to our humble corner of the web and decided to link to us from their site. So, here's to returning the favor. 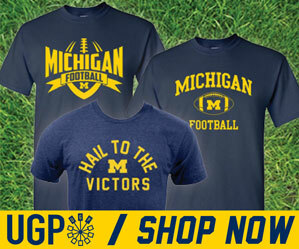 Head on over to V squared for hours of good Maize & Blue readin'!